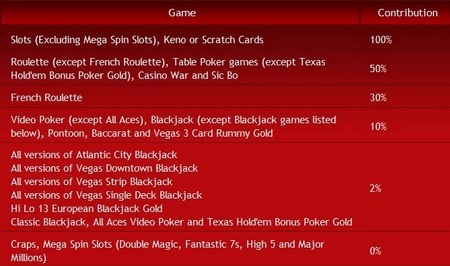 Michael Shakleford has created a simplified blackjack strategy, with a chart designed for the visually impaired but of value to anyone who doesn't want to learn complete basic strategy. 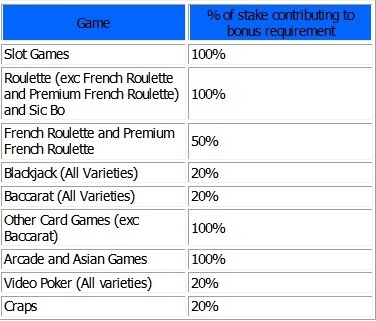 The cost of the simplification is approximately 0.14%, so if perfect basic strategy yielded an advantage to the casino of 0.5%, following this strategy it would increase to around 0.65%. Listed also is the cost of the incorrect plays. 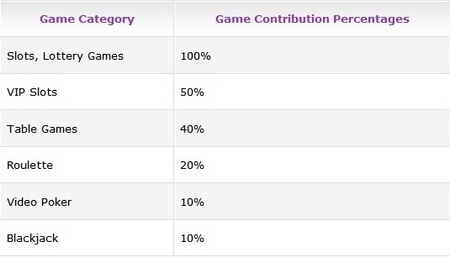 There are 25 in total in comparison to perfect strategy, but the top four account for fully half of the 0.14% error total. The remaining 21 errors account for just 0.07%. It seems surprisinging that so many "mistakes" can have so little overall cost. Borrowing a page from patent trolls, the CEO of fledgling Las Vegas-based Righthaven has begun buying out the copyrights to newspaper content for the sole purpose of suing blogs and websites that re-post those articles without permission. Gibson's vision is to monetize news content on the backend, by scouring the internet for infringing copies of his client’s articles, then suing and relying on the harsh penalties in the Copyright Act - up to $150,000 for a single infringement - to compel quick settlements. Since Righthaven's formation in March, the company has filed at least 80 federal lawsuits against website operators and individual bloggers who've re-posted articles from the Las Vegas Review-Journal, his first client. There were some oddities in the way RightHaven was acting, starting with the fact that it gives no warning to sites and doesn't send a DMCA takedown. It goes straight to suing...and then quickly demands a settlement fee. Clearly, if the LV Review Journal was concerned only, or primarily, for the protection of their intellectual property, they would contact the website hosting the offending article copy and request that it be removed, followed by a DMCA (Digital Millenium Copyright Act) takedown order if private contact failed to elicit a response. As a last resort, they would turn to the courts for help. But there is no attempted contact and request for deletion of the offending content, and as such, demonstrabley no interest in the principle of protection of intellectual property. This a hustle for money, pure and simple. Copyright is a form of protection provided by the laws of the United States to the authors of "original works of authorship," including literary, dramatic, musical, artistic, and certain other intellectual works. The way in which copyright protection is secured is frequently misunderstood. No publication or registration or other action in the Copyright Office is required to secure copyright. Copyright is secured automatically when the work is created, and a work is "created" when it is fixed in a copy or phonorecord for the first time. This is, clearly, a blatant abuse of copyright law, and not at all what the law intended to do. So what are the consequences of the abuse being practised by the LVRJ and Righthaven LLC? On July 21st, The Armed Citizen received an indirect and informal notice of a lawsuit against this website and its owners, David Burnett and Clayton Cramer. Righthaven has offered no prior contact, cease-and-desist warnings or any attempt at good-faith resolution whatsoever. The Armed Citizen has been excerpting articles from newspaper, TV station, and radio station websites for a number of years without a single complaint or infringement notice. If any copyright holders decided that The Armed Citizen had exceeded fair use, they only needed to send us an email. Until this matter can be resolved, and a thorough review of Armed Citizen content can be made, all updates and archives at The Armed Citizen are hereby suspended. At this time, the future of The Armed Citizen is uncertain, and possibly in jeopardy, thanks to Righthaven LLC and the Las Vegas Review-Journal. The Defendants' acts as alleged herein, and the ongoing direct results of those acts, have caused and will continue to cause irreparable harm to Righthaven in an amount Righthaven cannot ascertain, leaving Righthaven with no adequate remedy at law. I wonder what the nature of the "irreparable harm to Righthaven in an amount Righthaven cannot ascertain" was, in the posting of the article in question on some penny-ante blog that few people had even heard of? Mild nuisance, yes. But irreperable harm? And why wasn't repair sought by means of a request for deletion? Righthaven requests a trial by jury. Yes, clearly nothing less will suffice for this heinous crime. So, Righthaven's hustle has taken at least this blogger offline, possibly for good. There will be many other such cases, as Righthaven has apparently filed to date eighty one lawsuits. The whole point of the internet is information exchange. You see a word or expression which is entirely new to you, but rather than having you get out your encyclopedia or trot off to the library, the webmaster has conveniently provided a link to another page which provides an explanation. The internet is about linking. Or rather: it's about linking. Or for that matter: linking. You cannot realistically link to another page without quoting from it, and when you want to comment on specific aspects of the linked page it is impossible to not quote - it would be tantamount to hearing only one side of a conversation. Without linking and quoting, the most valuable resource the internet has to offer is radically undermined. But Righthaven has no interest in the finer points of education and empowerment, they want money. Links to a website are some of its most valuable assets, as amongst other things they tell the major search engines that your site is good. Conversely, lack of links is bad. As of now, we know that quoting from the Las Vegas Review Journal is probably not a good idea, as they'll pull a copyright hustle on us. And ever-decreasing weight in the search engines. And ever-decreasing advertising revenues as a consequence. Or, to sum it up in two easy to understand words: less money. Regular readers of my articles, if such exist, may have been wondering why, at the top of the page, I abandoned my customary practice of linking to the subject matter when I first mention - unlinked - the Las Vegas Review Journal and Righthaven LLC. I reckon you've got your answer now. Do not link to these morons, or thier papers at Stephen's media or whatever they're called, is the correct way to deal with these trolls.